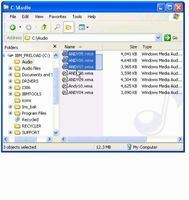 Extract and encode audio tracks to MP3, OGG, WMA and WAV files from CDs. 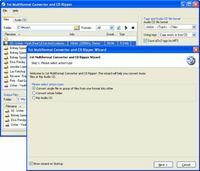 Convert MP3, WAV, WMA, OGG or VOX from one format to another, and edit ID3 tags. 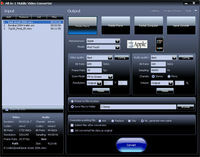 AVI, Divx, Xvid, MPEG, WMV, ASF, RM, RMVB, SVCD, VCD, MOV to iPod video format. 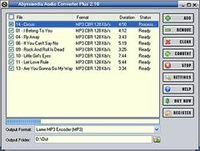 Accord CD Ripper, rips audio CDs to various digital audio formats. 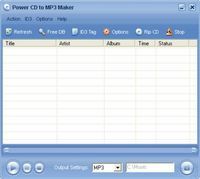 Rip from Audio CD's and convert to many different file formats! 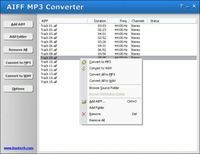 Convert AIFF to MP3 and AIFF to WAV and support batch conversion and 100 files. 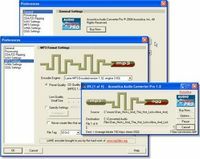 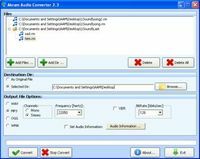 AKRAM Audio Converter lets you easily to convert Audio files.